Melty cheese and tangy chicken! *Marinate the chicken pieces in the BBQ sauce for at least 30 minutes in the refrigerator. In a large skillet, saute the marinated chicken for about 10 minutes, or until they are cooked through. Set out 4 tortillas and evenly divide the sauteed chicken onto 4 tortillas. Top with ½ cup shredded cheese each. Add the other tortillas on top and brown the quesadillas on both sides on a hot griddle. Slice into 6 or 8 pieces once cooked. 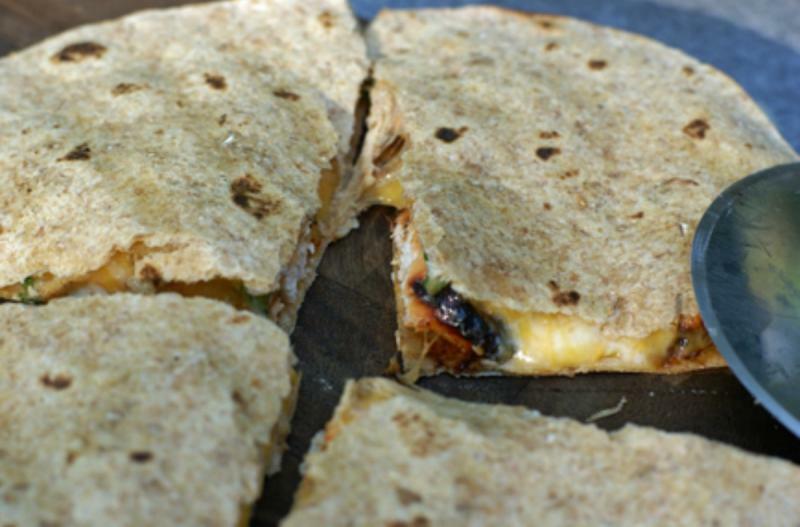 Serve BBQ Chicken Quesadillas with avocado and fruit. Cut 4 large boneless, skinless chicken breasts into bite-sized pieces. Put baggie in the freezer and freeze up to 6 months in fridge freezer or 12 months in a deep freezer. Thaw in the fridge overnight, or a warm bowl of water for about 20 minutes, before transferring to the skillet to cook the chicken, and then make the quesadillas. 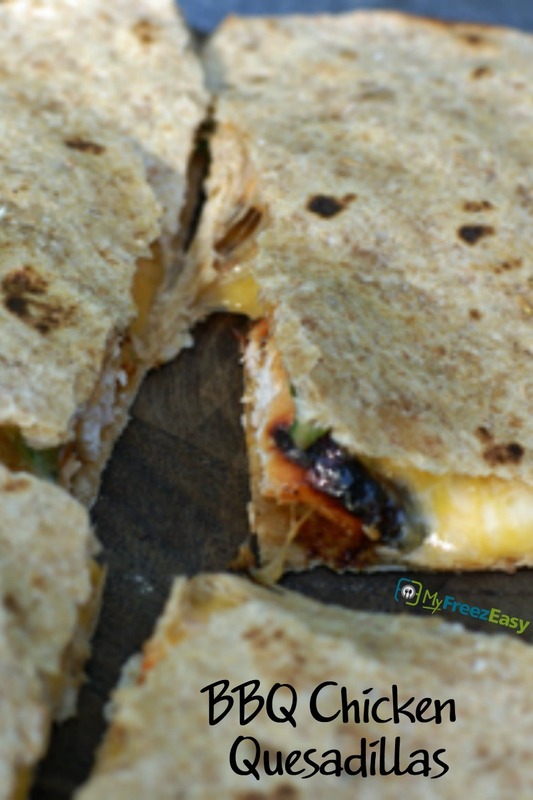 Shredded cheese and tortillas freeze well, so keep them in their bags in the freezer until it’s time to make these quesadillas. Unfortunately, there’s not a great dairy-free option for quesadillas. Unfortunately, there’s not a great gluten-free option for these quesadillas unless you want to buy gluten-free tortillas. Thaw completely and saute the chicken and sauce in skillet for 10 minutes, before assembling and grilling the quesadillas. Serve with avocado and fruit.